Ho ho ho... It's time for my Christmas competition! I'm delighted to have a great prize to give away to one lucky reader as an early Christmas present. 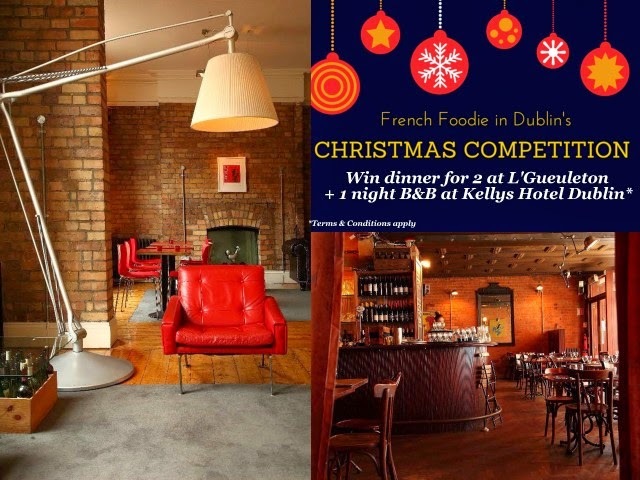 - Dinner for 2 at L'Gueuleton restaurant with an overnight stay at Kellys Hotel Dublin including continental breakfast*. L'Gueuleton is a French restaurant located on Fade street and Kellys Hotel is a hidden gem of a boutique hotel on South Great Georges Street, in the same building there is also the 'No Name Bar' in case you fancy a tipple or two during your stay. 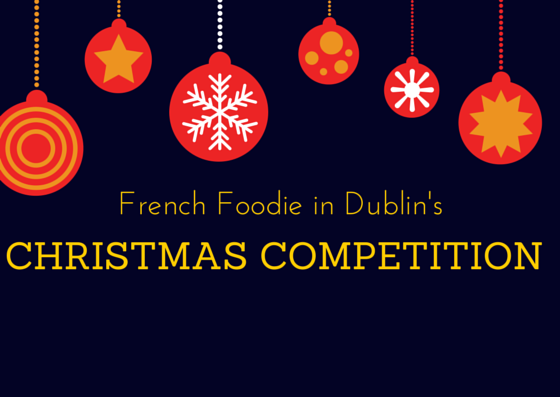 If you win you're in for a treat in one of Dublin's trendiest quarters! - Enter on Facebook here or on Twitter here (or both to double your chances). Winner will be announced on Monday 15th of December on this blog and relevant social media. Congratulations @Shanganagh! You won the prize, please get in touch. - Prize valid Sunday - Thursday excluding bank holidays & subject to availability.